One more week until the Dexter panel at San Diego Comic-Con 2013. You’ve been there for every edge of your seat moment, inside Dexter’s most intimate thoughts, watching him transform before your eyes. Now, after eight amazing seasons, it’s time to say goodbye. 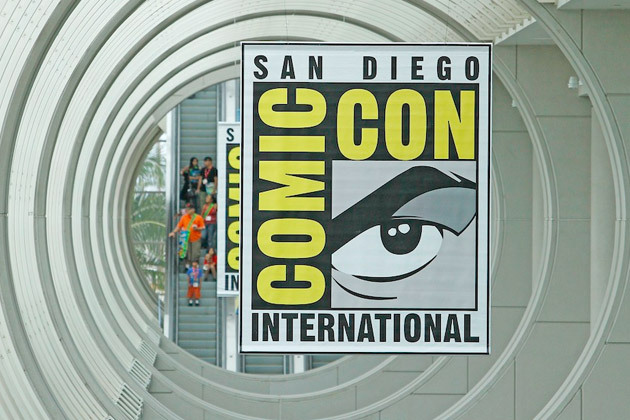 Join the cast, writers/executive producers and surprise guest stars, who are too big to mention, for a final Comic-Con farewell panel that even Hall H can’t contain! KROQ entertainment reporter Ralph Garman presides over a revealing interview and Q&A session with the stars and executive producers of Dexter. Featured panelists include, but are not limited to series star and executive producer Michael C. Hall, and series stars Jennifer Carpenter, David Zayas, James Remar, Aimee Garcia and special guest star Yvonne Strahovski. Also appearing are executive producers John Goldwyn, Sara Colleton, Scott Buck and Manny Coto. The Dexter panel session will be presented on the first day of the world-famous gathering in San Diego on Thursday, July 18th in Hall H from 6:30 p.m. to 7:30 p.m.